From start to finish, we offer services you can trust. We outline our process so that you know what to expect from our services. If you’re considering a new build, contact Braveco Homes to get started. See the beautiful homes we have built for our satisfied customers throughout the Lower Mainland. Top Quality Home Building in Vancouver and the Lower Mainland. Building since 1994, Braveco Homes has the experience it takes to craft a beautiful home to your unique specifications. 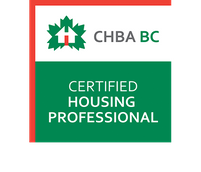 We are a locally owned and operated company that takes great pride in our workmanship, and we back it up with a 10-year warranty as well as our distinction as a Certified Residential Building company by the Canadian Home Builders’ Association. Headquartered in Coquitlam, we are proud to offer custom home building to Vancouver and the surrounding areas. We design and build new homes, spec homes, laneway houses, and more! We will work closely with you every step of the way during the planning and construction of your new home, and your involvement in the process is highly encouraged. Our goal is to make sure that the job is done right and to the best of our ability to ensure that when you move into your new home, you’re happy. 20 Years’ Experience – We have been crafting beautiful homes in the lower mainland for more than 20 years, fulfilling clients’ needs since 1994. Our specialties include new home construction. Let’s start planning your dream home! Contact Braveco Homes today to get started on your custom home building project. We have videos that outline the construction of several projects!